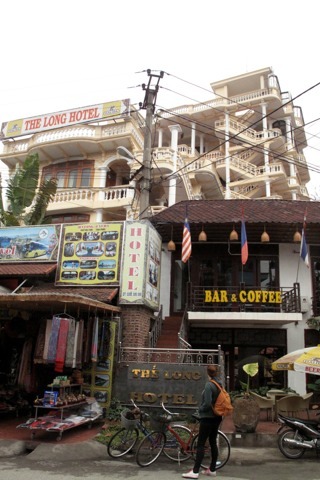 You can’t miss The Long Hotel: not only is it opposite the boat station in Tam Coc but it’s the biggest building in town, fronted by a large café decked with flags. Three standards of room are spread over seven floors -- don’t worry, there is a lift -- which stretch back behind reception. Rooms open off wide terraces, equipped with bamboo chairs and tables from which you can enjoy the view -- from the higher floors at least. Even the cheapest, standard, rooms are spacious, with deluxe rooms being similar in layout but apparently with better furnishings and decoration -- though we couldn’t really see much difference. The suite on the top floor is a great choice if you like to wake up to a view, and it also comes with a PC and huge bed. Breakfast is included in the hotel restaurant or opposite. 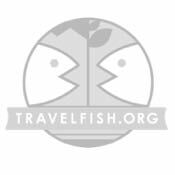 Although the website’s only in Vietnamese the guy who showed us around spoke good English.